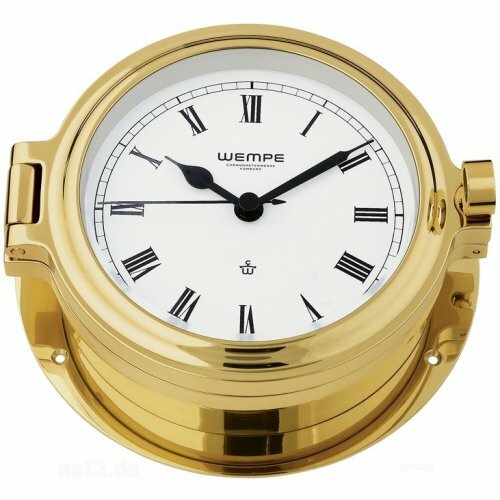 The WEMPE CUP porthole clock has a diameter of 140mm and is equipped with a precise battery-powered quartz movement. 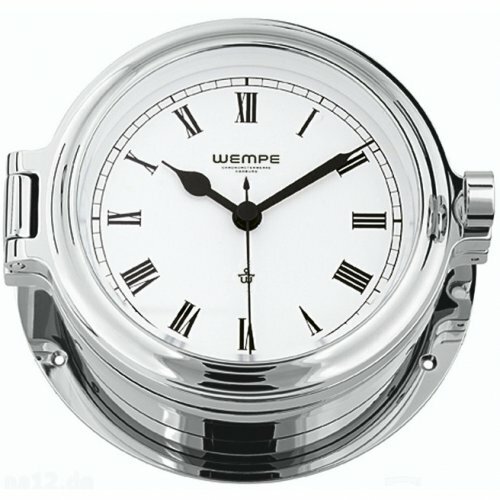 The enclosure is available in colourlessly lacquered high-gloss polished brass, chrome plated, or matt nickel plated. 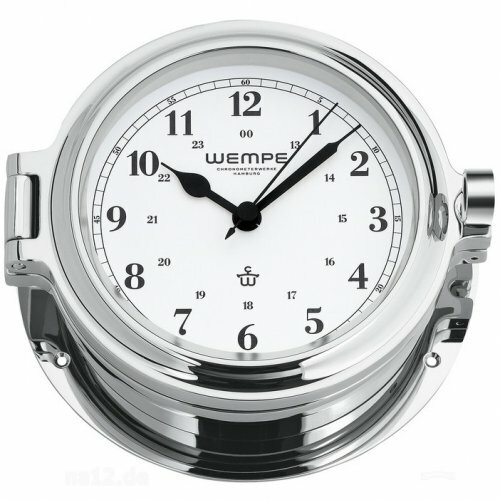 For battery exchanges you can simply open the clock with its toggle clasp. 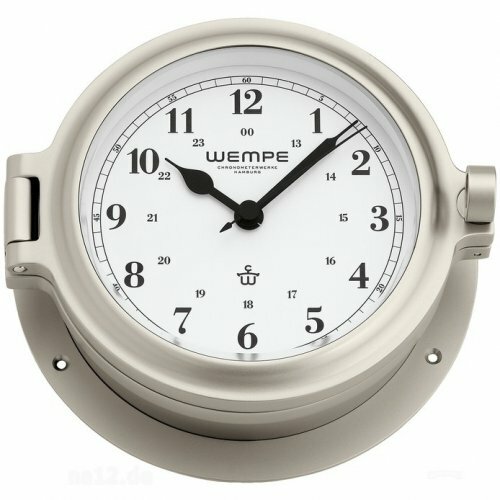 You can also choose the character font of the 100mm large clock face of your WEMPE CUP porthole clock. 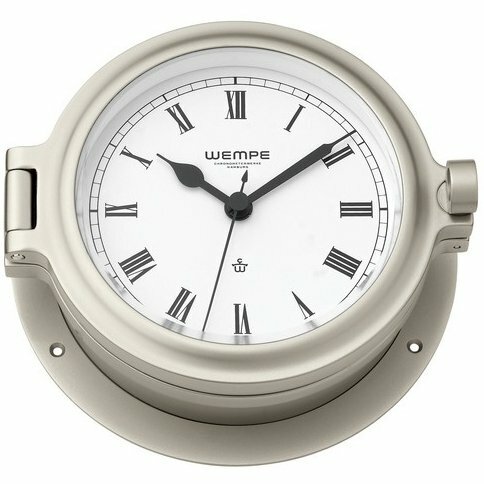 Either Roman or Arabic numerals are printed on the white clock face. 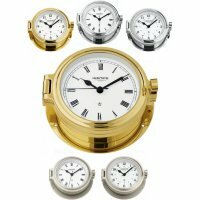 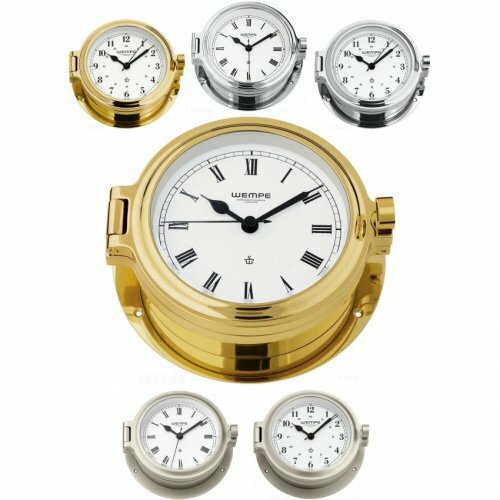 Thus, a diverse collection of high-quality WEMPE CUP porthole clocks is created, every single one of which is a eye-catching instrument aboard ships and in offices on land.